A contemporary crystal award with an artistic slant. 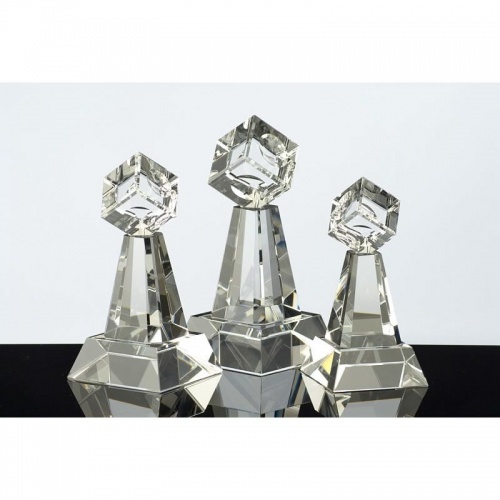 These awards feature an optical crystal cube set on a tapered column with a base. Stands 7.25in (184mm) tall, offered with low cost engraving of the bevelled base.